Strikingly stunning in form and function, the UFO LED night light from Adot Lighting offers a new experience in night lighting. This shiny table lamp radiates contemporary beauty to deliver peace of mind with eye-friendly illumination and excite visual splendor with its fascinating design. Combining the minimalist sensibilities of timeless modernism with technical sophistication and engineered precision, the night light looks absolutely wonderful in any home decor. The UFO is designed with cutting-edge functionality to deliver unprecedented convenience and comforting illumination -- the fundamentals of a night light but seldom found on many competing products. The LED night light creates visual drama with its streamlined organic form. A compelling UFO theme delivers a space-age look that makes it stand out as an inspiring addition to bedrooms, living rooms and home offices. A disc-shaped aluminum housing and a domed glass lens combine to form this minimalistic, aesthetically impactful piece. The sleek aluminum housing is fabricated from a single-piece 5052 aluminum, which creates a flawless look from every angle of view. 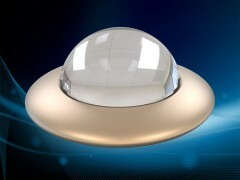 Fashioned in champagne gold or metallic silver, the high-gloss finish of the UFO LED night light is achieved through a precision multi-step anodization and polishing process. The beautiful anodized aluminum finish with excellent scratch resistance as well as high color and gloss retention creates the look and feel that are comparable to an Apple iPhone. The visually intriguing borosilicate glass lens with a glamourous luster adds the crowning touch to this gorgeous design. The ultimate purpose of a night light is to provide functional illumination that makes navigating at night easier and does not disturb the nighttime atmosphere due to high intensity illumination or irritating glares. While most bedside lamps provide dimmable lighting and excellent glare control, there is still a nonnegligible risk factor. In complete darkness, any level of artificial light will contrast with its surroundings. The adults can move away to get relief when there's sharp contrast in the visual field. Nevertheless newborns and toddlers love to stare at bright light and can not move away as easily. It's general knowledge in baby nursing that no glaring light should be allowed to strike baby's eyes. Since LEDs are directional light source that produces high intensity light in tight spots. Extreme caution should be exercised when designing a night light catering to all age groups. The Adot UFO night light treats the eyes with exceptional visual comfort thanks to its distinctive optical design. 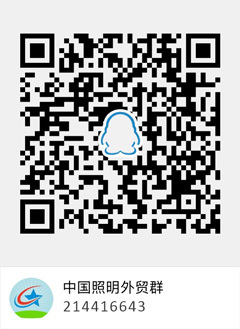 It casts a 36° asymmetric uplight beam toward a vertical surface. Single-bounce vertical reflection creates a gentle room ambiance that allows the occupant to navigate through the dark with ease. 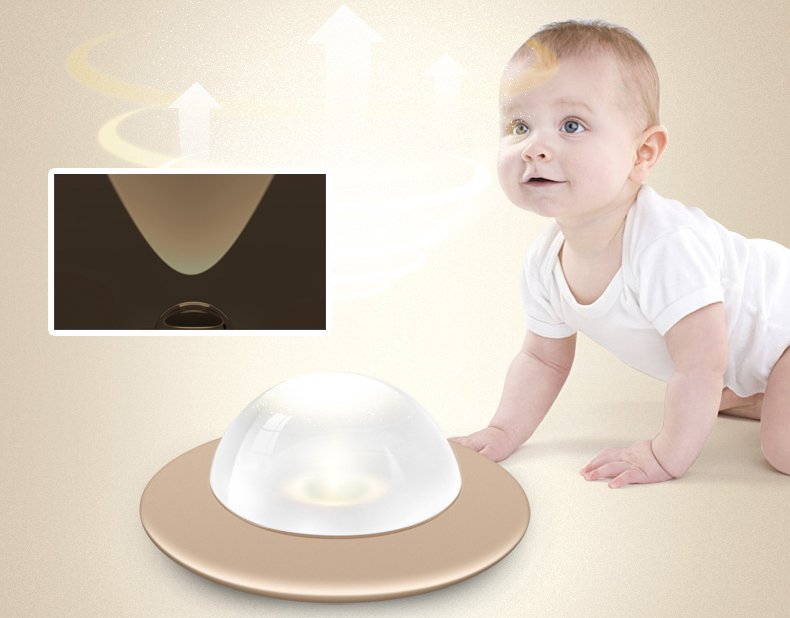 The narrow uplight beam does not generate horizontal glare within a toddler's vision. Shining at a 3000 kelvin color temperature, the warm tone of the white light imparts a feeling of comfort, coziness and relaxation. The portable table lamp is equipped with a Lumiled LUXEON Z ES high power LED which provides exceptional quality of light, high luminous efficacy, and unmatched optical flexibility for tight beam angle control. The LED module is powered by an external power bank or a computer via a micro USB port. With the UFO's revolutionary full-housing touch activated switching mechanism, you never have to stumble in the dark and fumble for a hard-to-find light switch. The majority of table lamps available on the market sacrifice usability just for a compact form factor or uncluttered appearance. Imagine the frustration of a nursing mother when she has to resort to a third light source to find the intangible touch switch of a night light, while her baby is escalating his/her impatience for breastfeeding with the increasing volume of screaming and crying. The ergonomic switching design of the UFO LED night light allows users to switch on/off the light by double clicking any part of the aluminum housing. When the night light is activated, each single touch on the aluminum housing will trigger a higher level of light output in a 3-step dimming cycle. 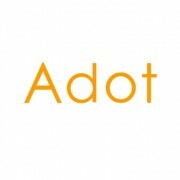 Other Products from Adot Lighting Co., Ltd.